If you want to earn some extra Bitcoins during the following days, there are two new offers from two of our favourite Bitcoin casinos that can help you do so while having fun at the same time. 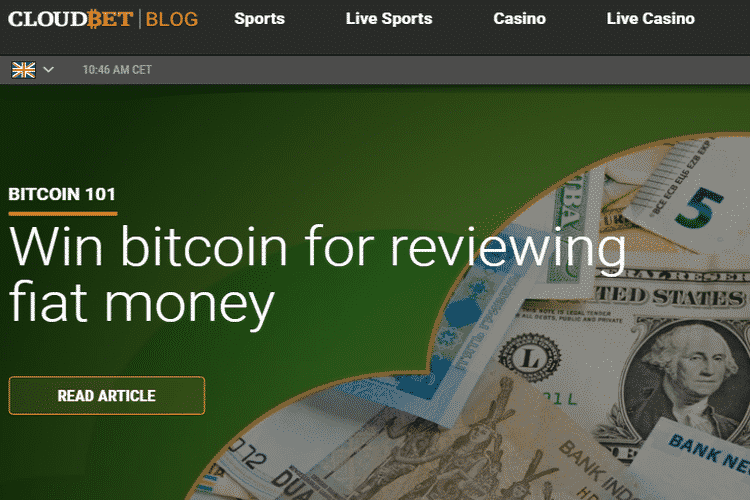 The first recently went live at Cloudbet Casino and it doesn’t involve playing any Bitcoin slot games or spending cash but simply making a fake review on an online forum. And the second is your classic casino tournament where you’ll get to play top card games or pokies to win a portion of a juicy tournament prize pool. Learn more about both offers by reading our full scoop. Cloudbet Casino has been on a roll lately with its promotions that offer players an opportunity to earn some nice cash by using their sense of humour. After giving away prizes for the best memes about Bitcoin, the casino has now decided to award members with some Bitcoins for writing a spoof review of a fiat currency to mark the “not-made-up” tradition of crazy Black Friday spending. As the casino explains, following the “Black Friday/Cyber Monday bonanza”, people usually spill out their passive-aggressiveness by writing reviews of the “useless rubbish” they purchased around Thanksgiving. 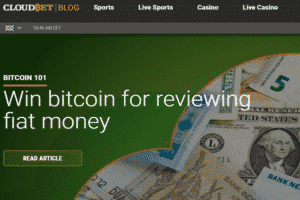 To make light of this trend, the casino launched a good-spirited promotion on the Bitcoin Talk forum where members can post pretend reviews of any fiat money product, be they US dollars, banks, credit cards, of Zimbabwean dollars, to earn BTC. The most hilarious review will get a prize of 0.043 Bitcoins while the next four runners-up will each be getting 0.017 BTC, and that’s not all. Ten special mentions will also be sent a physical Bitcoin trough the post and all entries will get tickets to a 0.029 BTC raffle. The prizes will be drawn on the 4th of December, so you’ll have to make your entry by then. If you feel creative enough, go and visit Cloudbet Casino to learn more about the rules of the competition. Starting this Sunday, Fortune Jack Casino is running two separate promotions for its players, each offering a separate prize pool of 750 mBTC + 500 free spins. The first tournament, LeaderJack, is reserved for Blackjack players only while the second is open only to slot punters. The objective is the same in both competitions – bet as much as you can on Blackjack or slot games to earn points and climb to one of the 50 positions on the leaderboard. Whoever gets to climb to the top gets a prize of 200 mBTC wager-free while the next three runner ups get 150 mBTC, 100 mBTC, and 60 mBTC, respectively. Even the lowest prize is not that bad, being 10 free spins that are given with no strings attached. If you want to see all the available rewards, or read more about the rules of the tournament, feel free to check out Fortune Jack Casino.